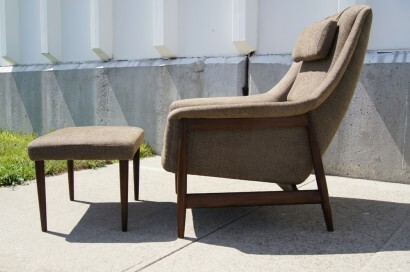 This teak-framed armchair and ottoman is attributed to Dux of Sweden. 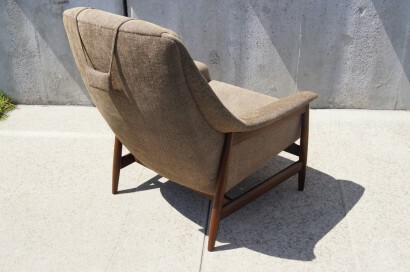 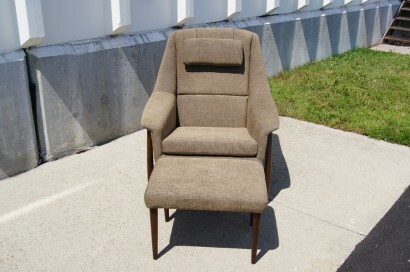 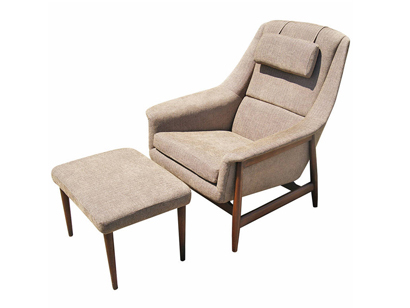 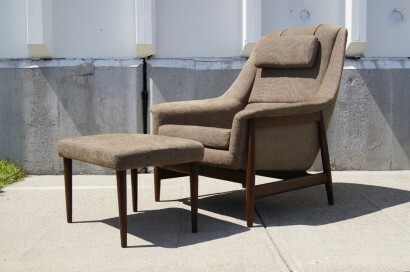 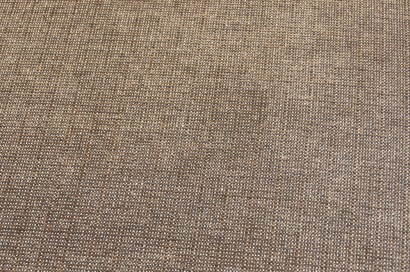 Recently reupholstered in a soft, taupe textile, it features a very comfortable seat with headrest. 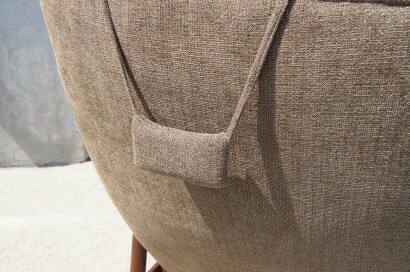 The ottoman measures 23″ W x 17.5″ D x 15″ H.